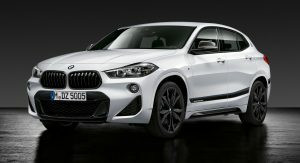 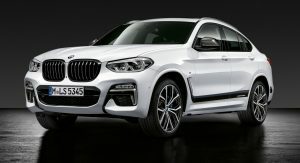 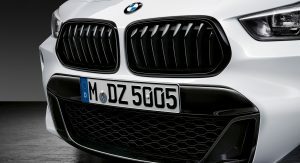 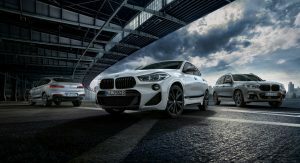 BMW recently revamped its crossover lineup and now the company is following up by releasing an assortment of M Performance Parts for the X2, X3 and X4. 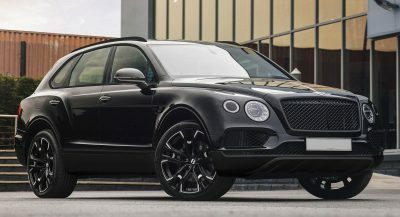 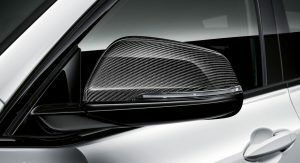 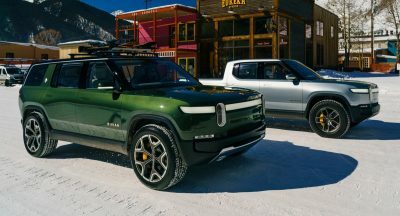 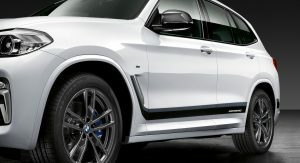 Designed to give the crossovers a sporty and elegant appearance, the range of accessories runs the gambit from high-gloss black grilles to carbon fiber reinforced plastic mirror caps. 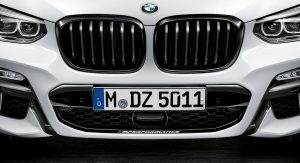 Customers can also order M Performance badging and an LED door projector kit which includes BMW M and BMW M Performance logos. 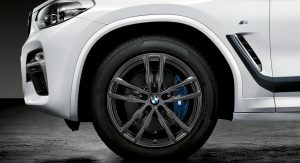 Wheels are popular with owners wanting to customize their rides, so BMW offers an assortment of different options. 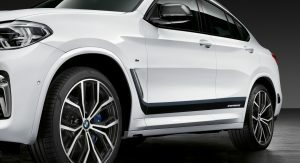 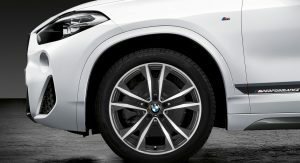 X2 owners can order 20-inch matte black alloy wheels, while X3 and X4 drivers can opt for either 19- or 21-inch units. 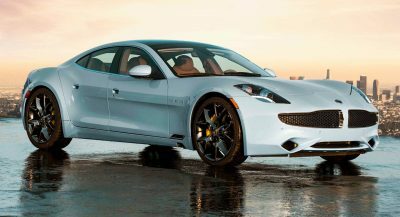 The larger wheel has a two-tone appearance and BMW says it weighs approximately 2 kg (4.4 lbs) less than a similarly designed cast wheel. 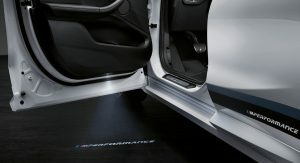 To spruce up the cabin, BMW offers velour velvet floor mats which feature M Performance branding, contrasting seams and faux leather accents. 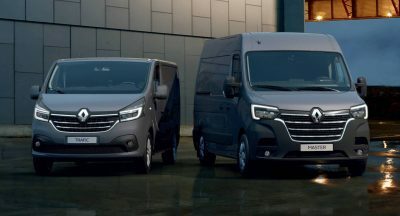 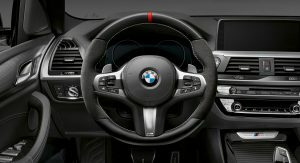 Drivers looking for something sportier can order the M Performance steering leather which has leather and Alcantara upholstery was well as a red motorsport marking at the 12 o’clock position. 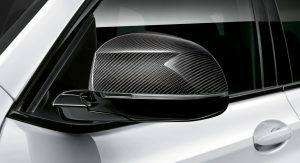 Lastly, X3 and X4 owners can order carbon fiber paddle shifters with red anodized plus and minus signs. 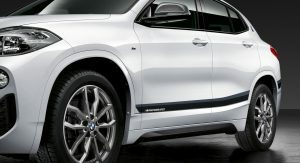 Well there is a X3 M already in the works last I checked or was that the X4? 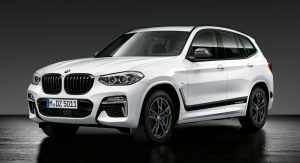 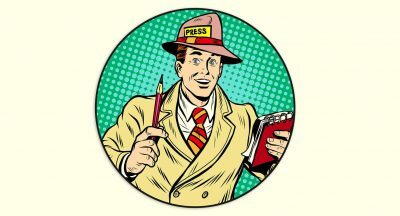 It’s one of them.